The month of May, which is not yet over, has so far witnessed three western disturbances, leading to furious thunderstorms. New Delhi: Something is unusual about the summer this year, weather experts say. The month of May, which is not yet over, has so far witnessed three western disturbances, leading to furious thunderstorms and dust storms across swathes of northern India in which more than 150 people have died. "But not of this severity. The frequency of western disturbance is unusually high," said Mahesh Pahlawat, vice-president (Meteorology and Climate Change) at Skymet, a private weather forecasting agency. Mritunjay Mohapatra, additional director general of India Meteorological Department, said May alone has witnessed three western disturbances until now while April saw one. 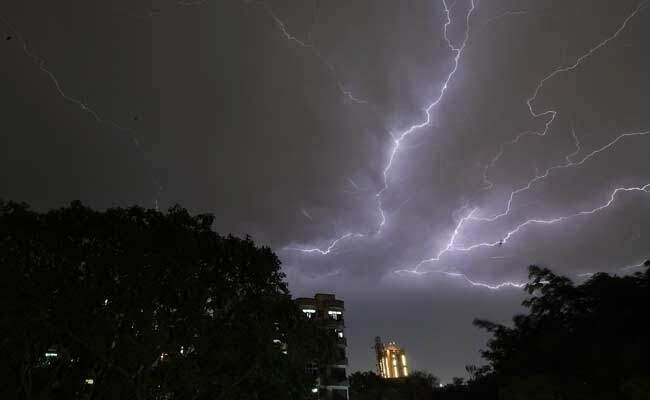 Mr Mohapatra said the frequent western disturbances are one of the main reasons for the thunderstorms and dust storms. The thunderstorms on May on 2-3 and May 13-14 saw wind gusting at more than 100 kmph. More than 150 people were killed in Uttar Pradesh and Rajasthan due to the freak weather phenomenon. A western disturbance originates in the Mediterranean Sea and brings rainfall to northwestern India. "This is all the game of moisture," L S Rathore, former IMD director general, said. The western disturbance brings moisture which helps in formation of clouds, Mr Rathore added. Western Rajasthan and adjoining parts of Pakistan are witnessing unusually high temperatures. Cyclonic circulation resulting from the western disturbances add to the intensity. Western disturbance is a normal phenomenon that can be observed over western Himalayas and north Indian plains from October to March. However, what is unusual is its occurrence in April-May. "Usually, as the sun enters the northern hemisphere, the western disturbance shifts to upper latitude, north of India. However this year, the western disturbance continued over northern India and the western Himalayas," Mr Palawat said. To make matters worse, the western disturbances this month were aided by easterlies - moisture-laden winds coming from the Bay of Bengal. "It still remains a question on why western disturbance have been occurring so frequently over western Himalayas and north India. It could be because of changing weather pattern that takes places every six-seven years," Mr Palawat said.